I went to the AnthroTech: Anthropology in Technology last night at the NYU Washington Square Campus. It was my first time going to this meetup. I thought it would be interesting so I went. As a user and builder of technology products (and a human) I thought it would be interesting to see how people at this meetup use anthropological methodologies to study the use of products. It is clear that studying humans is necessary for product development. How else are we find out how people use software or hardware products? Anthropology looks like it would mesh well with the other techniques we use today to do this. 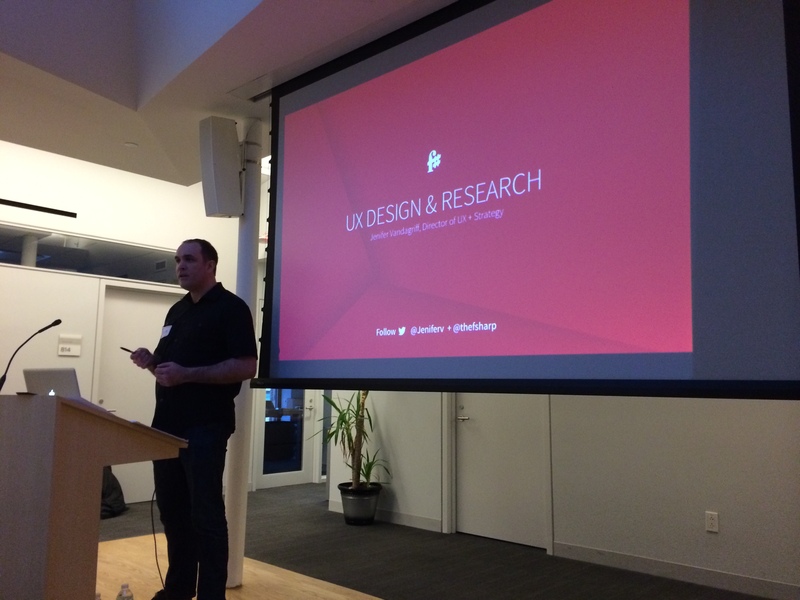 At this meeting the topic was “User Experience Research & Design”. The organizers took a great approach by including two aspects of UI/UX in two presentations. The talk was first about UI/UX in the context of software and then hardware. The hardware presentation was the one that I wanted to see. That is what I am doing now. Hardware product development. 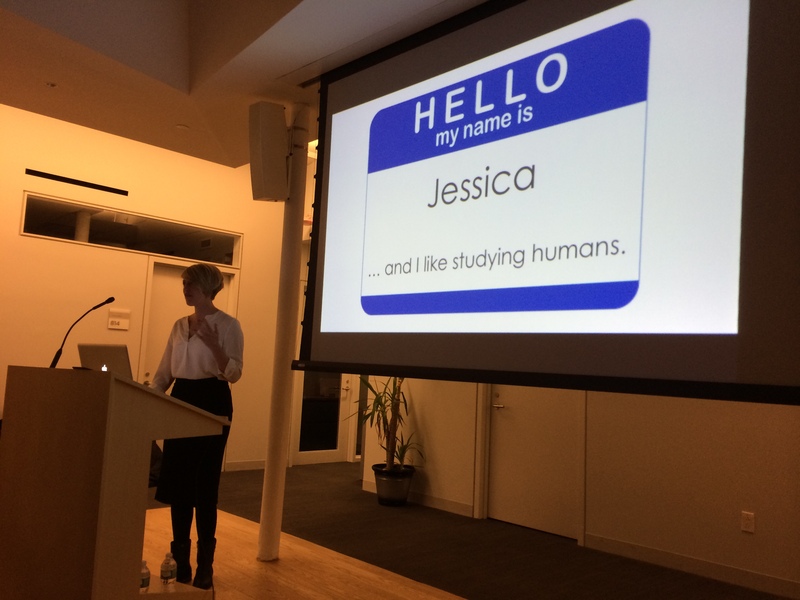 The first up was Jenifer Vandagriff Director of User Experience at F#. F# is a company that specializes in online advertising for music. 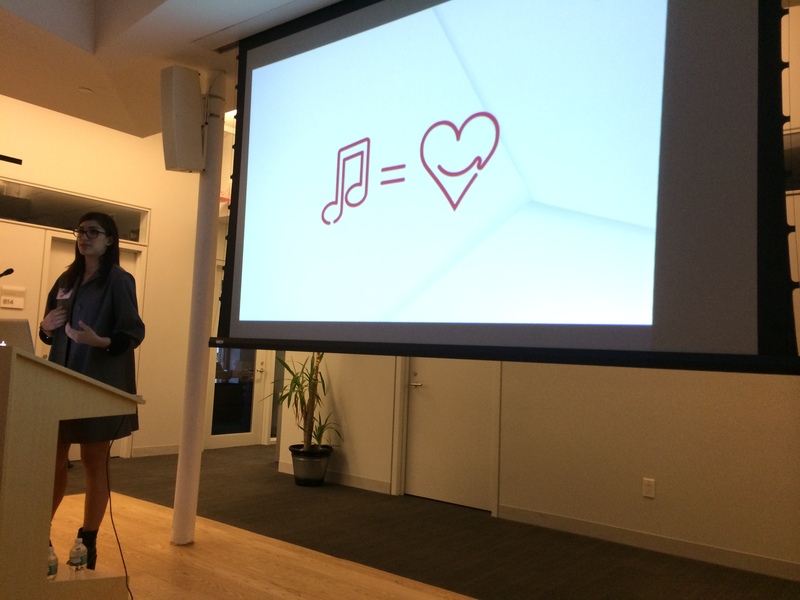 They merge music, technology and advertising to help brands reach consumers. It is a great idea to combine the love of music and products. I have some friends that tell me they have their own theme songs. Jenifer walked us through their method. It is difficult for them to iterate on product when the ads (their product) have a short life span. I like the way they use measurement. The data feeds into their product development process. It provides them a way to react fast to the reactions people have to their adds. From what I see they use tools like Google Analytics, Facebook Stats and their own home-made tools. The process they use is pretty much standard for any software development shop today. I did not see much new here that I have not seen before. The second and last presenter was Jessica Bates Consumer Insights Analyst at Sony Electronics. Before working at Sony she was a former Lecturer in Anthropology at San Diego State University. I was hoping to hear some insights into Anthropology and the product development process. Does it help or does it hurt the process? From her presentation it was clear that she was looking from the outside into the organization. I have been there before, as a consultant, many many times before. It has more pluses than minuses. The plus is that since you are looking from the outside in you see what people don’t see. Very valuable. The downside is that people may not know why you are there and you have to constantly remind people who you and what you do. Her presentation went through the product development life cycle in Sony. Most of which you can check out in the pictures below. Much to say that there were many avenues the processes could go through depending on management approval, budget and whatnot. Sony is definitely not as agile as a startup and they do move slowly. I wonder is that an excuse anymore with all the information out there on how not to be slow and how to use innovation techniques to create new products and services. I remember Sony very lovingly from when I was a teenager use my water proof yellow Walkman (remember those?). It is sad to me that it seems that they have fallen behind and are playing it safe. I am glad she walked us through the different ways they go through the process. It showed very clearly what gets in their way. After the presentation I talked with her about the methodologies we teach in the NYU School of Engineering Management of Technology and Innovation. One of the techniques we teach is Outcome-Driven Innovation. (I should do a word count on how many times I have used the word innovation. Ugh I bet it is way too many.) Outcome-Driven Innovation developed by Tony Ulwick and it studies the jobs-to-be-done. The method works and gives quantitative data that management can understand and use to make decisions about the value of developing a product (or adding/updating features to a product). Feature Image Photo credit: EarthOwned / Foter / CC BY-NC-SA The rest of the photos I took.